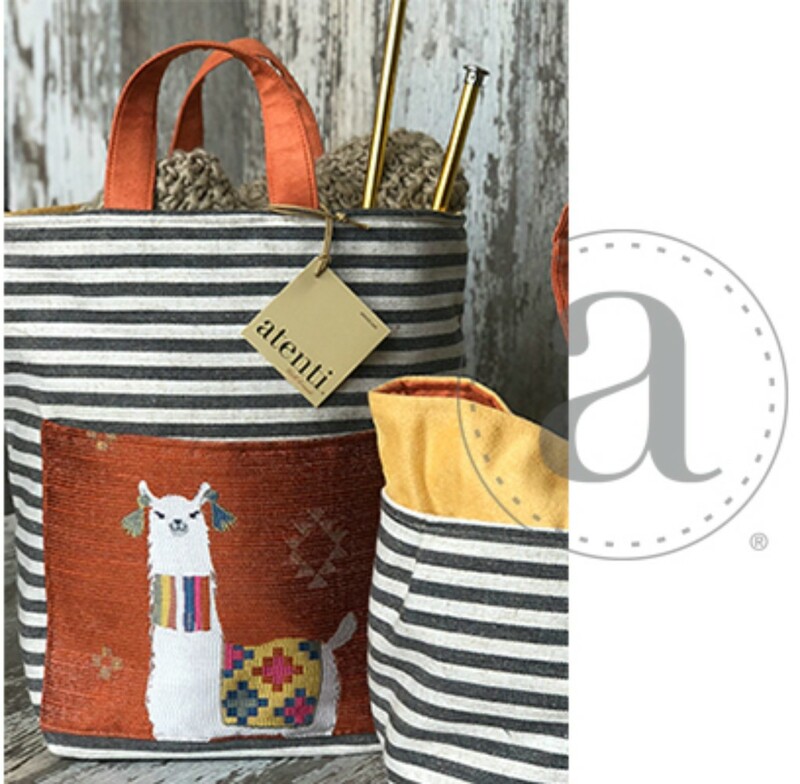 The Atenti Mamallama Orange Hope Basket- Fun and trendy llamas woven into a jacquard. A roomy stand-alone project bag. Top rolls down for easy access. Wide opening and two handles. Fully lined in water our light tan water repellent taffeta. Inside are three pockets.